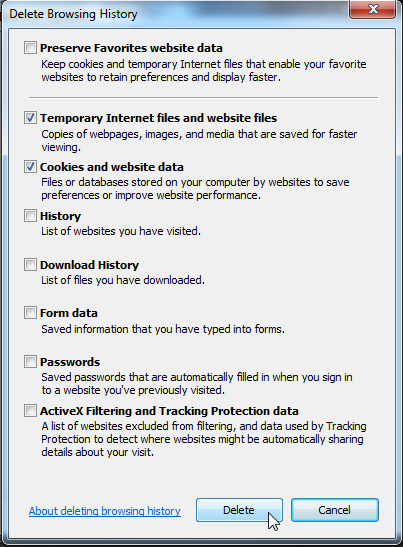 Browsers cache (store) information from websites to make accessing them faster upon revisiting the page. At times this information can become corrupted or there may be changes made to the website which causes the cache to become invalid. This can lead to pages not loading or loading incorrectly. 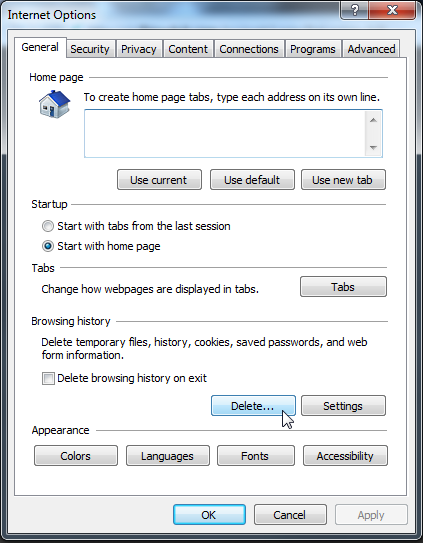 The instructions below will assist you in clearing a browser’s cache. Note: You can mouseover any image to see a larger view. 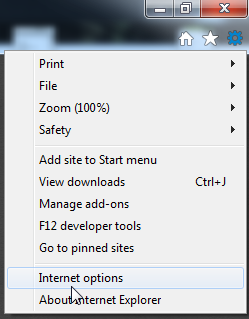 Click on the Gear icon in the upper right corner of the browser and select ‘Internet Options’. 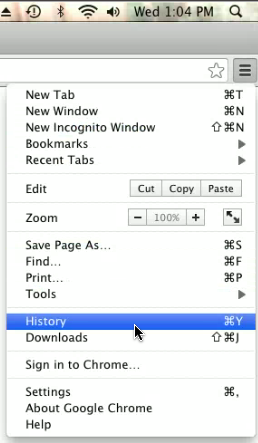 In the new window that opens, click on the ‘Delete…’ button in the Browsing history section. 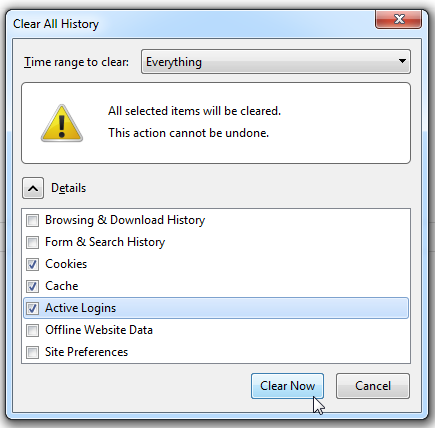 In the Delete Browsing History window, uncheck ‘Preserve Favorites website data’ and make sure ‘Temporary Internet files and website files’ and ‘Cookies and website data’ are checked, then click the ‘Delete’ button. Once completed you will see the message “Internet Explorer has finished deleting the selected browsing history.” at the bottom of the browser. After this message appears, close and relaunch the browser. Click on the orange Firefox button in the upper left of the browser, mouseover ‘History’ and click on ‘Clear Recent History’. 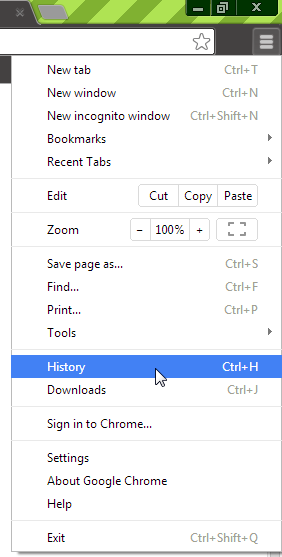 If you do not see the Firefox button, then there should be a bar with an option labeled ‘History’, click on that and then click ‘Clear Recent History’. In the upper right corner of the browser, click on the icon with 3 horizontal bars and select History. On the new page that opens, click the ‘Clear browsing data…’ button in the upper left corner. 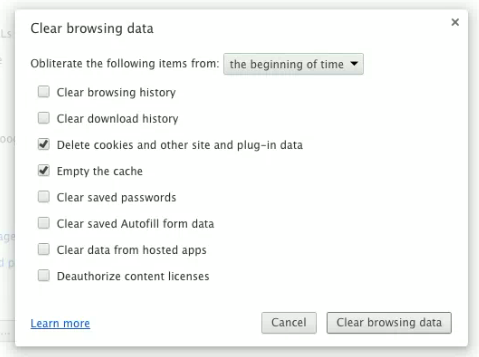 In the Clear browsing data window, make sure ‘Obliterate the following items from:’ is set to ‘the beginning of time’, then check ‘Delete cookies and other site and plug-in data’ and ‘Empty the cache’ and then click the ‘Clear browsing data’ button. Once completed the Settings page will be displayed, after that close and relaunch the browser. 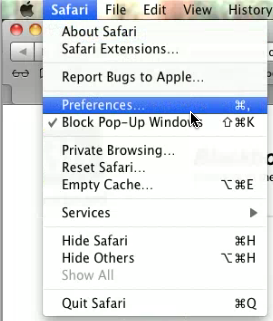 Click Safari in the upper left corner of the screen and select Preferences. In the new window that opens, click on the Privacy tab, and then click the ‘Remove All Website Data…’ button. A confirmation window will pop up, click the ‘Remove Now’ button. After that completes, click Safari in the upper left corner of the screen and select ‘Quit Safari’ and then relaunch the browser. 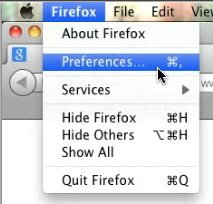 Click Firefox in the upper left corner of the screen and select Preferences. 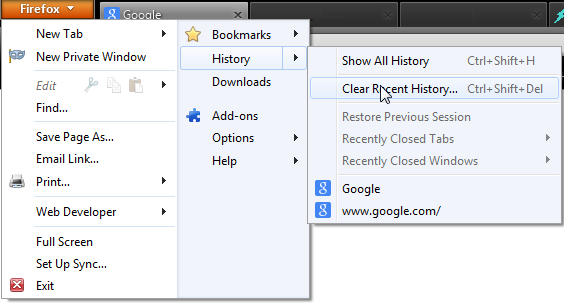 In the new window that opens, click on the Privacy tab, and then click the ‘clear your recent history’ link. After that completes, click Firefox in the upper left corner of the screen and select ‘Quit Firefox’ and then relaunch the browser. Once completed the Settings page will be displayed, after that close the browser by clicking Chrome in the upper left corner and select ‘Quit Chrome’, then relaunch the browser.